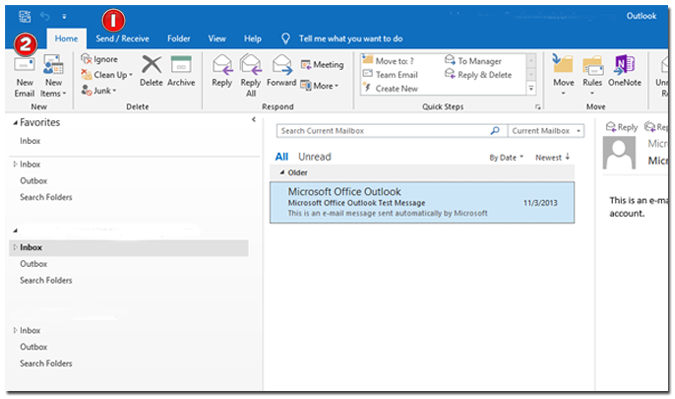 Email servers have different instructions for adding a button image to an email. 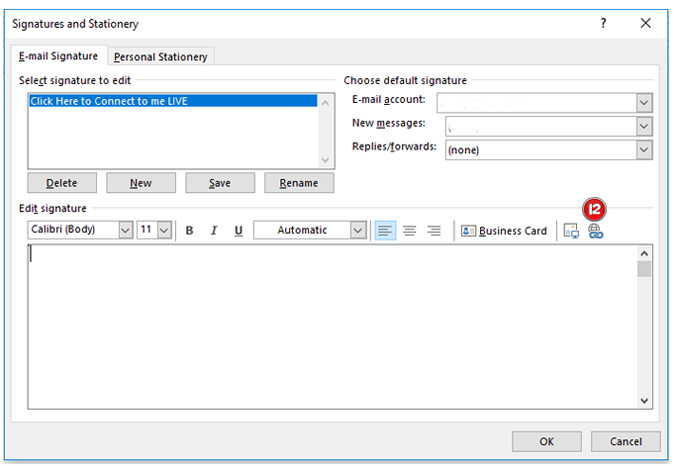 If you use Outlook as your email server, follow the instructions below to add a LIVE Button to an email. View after logging in to your Outlook account. A new message screen will open. 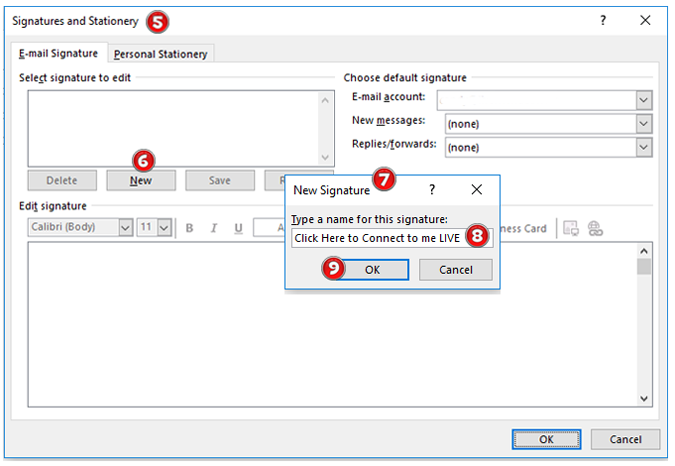 To add the Live Button to the email, click on the Signature Button. The Signature and Stationary Form will open. This will open a New Signature Box. Type the message you want to appear for your. Click the Insert Image to your email Button. In the picture files dialog, navigate to the Live Button image and click ok. Your image will appear in your message. Add any text as needed. 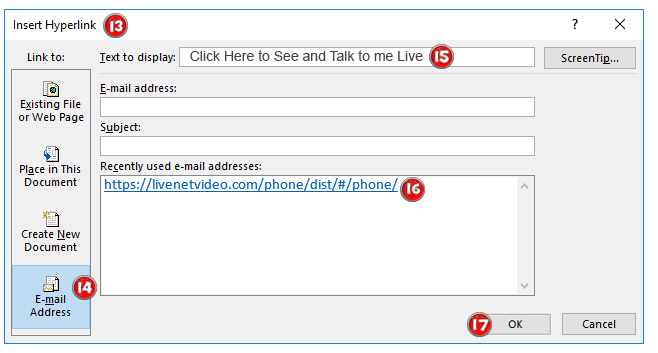 If you want to add a link to your email so the receipient can click on the link and See and Talk to you by live 2 way video, click the Add Link Button. The Insert Hyperlink screen will open. Click on the E-mail Address Box. Type the text you want to be displayed for the link. Type in the hyperlink here. 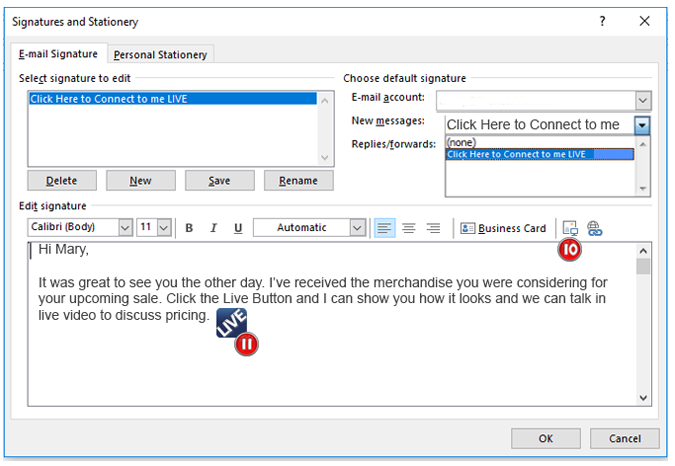 When creating a new email, if you want the Live Button or the Live Link to appear, from the New Email Screen, click the Signature Button and select the one you want to appear.